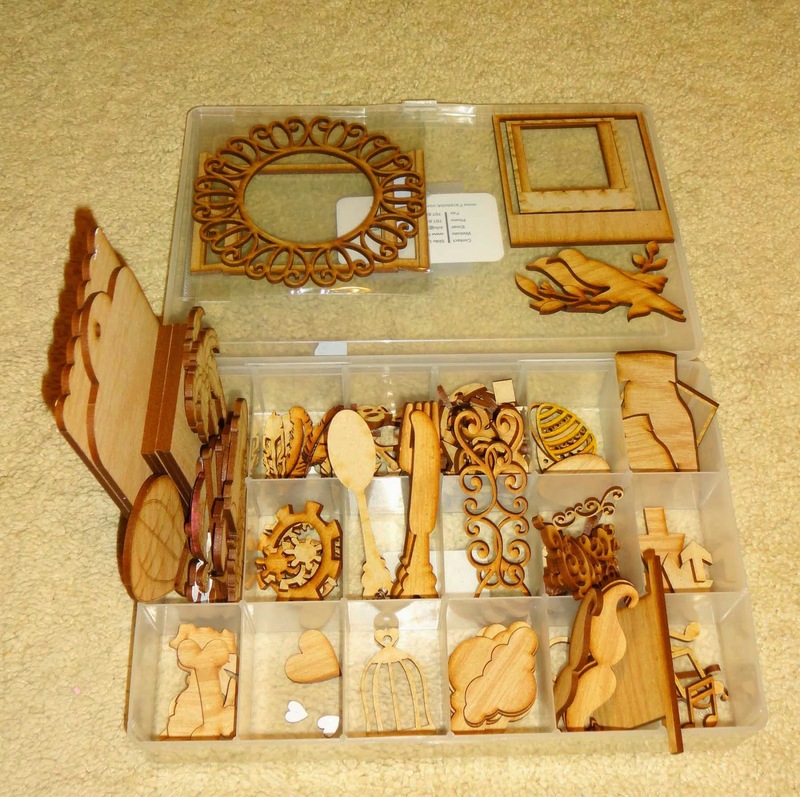 Over at Unique Laser Designs Blog we are talking about organization! It is always fun to see how everybody stores their wood pieces. It's one of those basic containers they sell at the craft stores. Probably used for floss for embroidery originally, but now they seem to market these containers for everybody. It doesn't close because of my big pieces, but that's ok. I like to be able to see everything. I also have to take everything out of bags. This is true for all sorts of things that come in packages. If it doesn't come out of the packaging---sadly, it may just stay there. Go check out the Blog and see how everybody else stores their wood pieces. There are even pictures of the home base! That's really cool! What a great way to organize them!! !